I ordered Emily futon from here and wasn't happy with it it had the split back and it never seen that both sides were ever even, I returned that one in ordered this one sometime later, became quickly the color is a soft white not appear paperwhite but definitely not a vanilla, I have a 713 square-foot home and I love modern furniture so I ordered this to go with my vintage chair, if it's imperfect the only thing I did was spray-painted the legs a silver which looks great more modern even, it's what I expected it's a futon it's not the most comfortable but I only spent about two hours a night watching TV so it's perfect I'm 5'8 inch I can lay down on it and still be comfortable.If you're looking for a modern futon that's a great price this is perfect like I said before if you're looking at ones that have the split back they do not ever lay completely even. Home territory searches the web to find the best prices and availability on Futons and related products foir your home like DHP Aria Futon Sofa Bed, White Faux Leather Upholstery. For this page, related items include products we find that match the following keywords: "Futon" at our vendor partner Walmart - Click More Info / Buy Now to check for price rollbacks!. 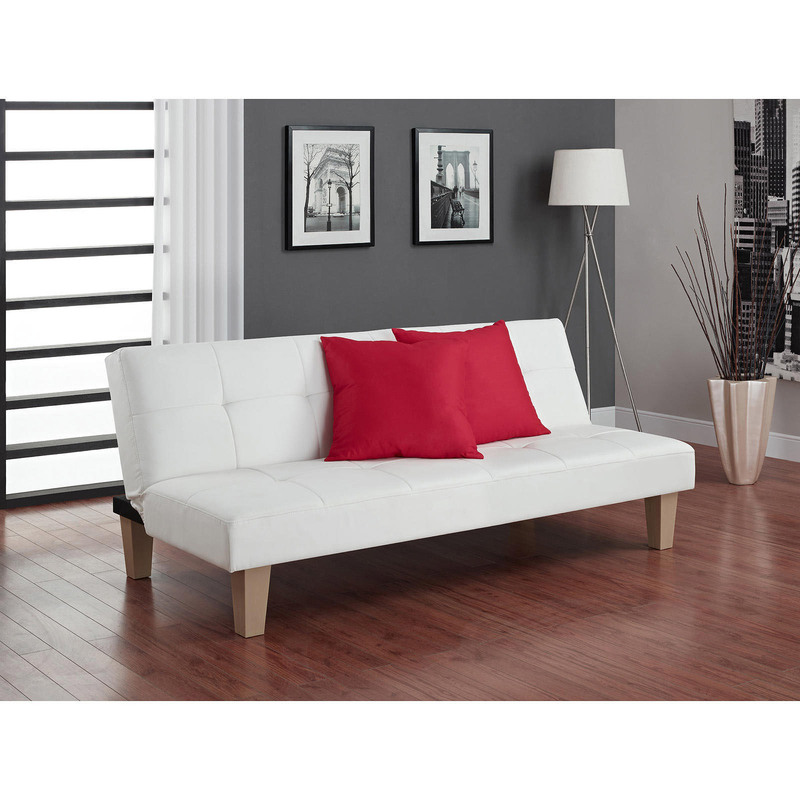 DHP Aria Futon Sofa Bed, White Faux Leather Upholstery is one of 61 Futons and related products available for sale through HomeTerritory.com, If you have any questions on this product, please give us a call at 734-971-1210 during the hours of 9am - 5pm EST for assistance. Thank you for shopping at Home Territory, the home furnishings superstore!